The float inside our Paint Shops, ready to roll! This year Independence Day proved to be a crazy day filled with torrential rainfall, altered train schedules, a highway closure, and Chilkoot Trail flooding. 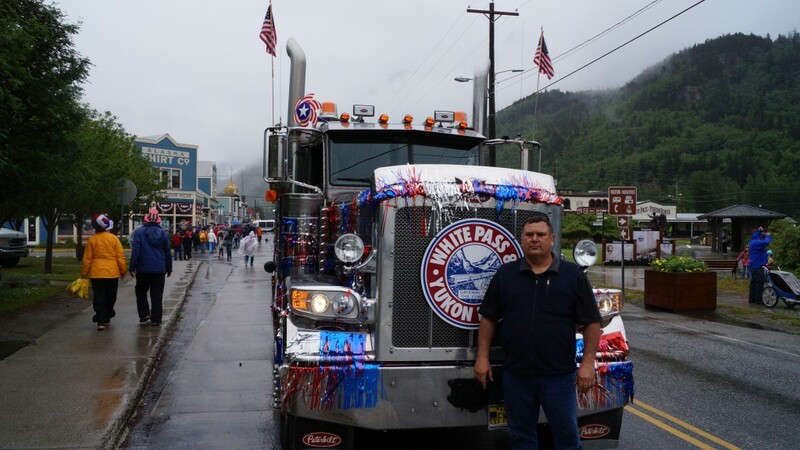 But amid the chaos, the 4th of July festivities in Skagway still went on, if just a tad bit wet. 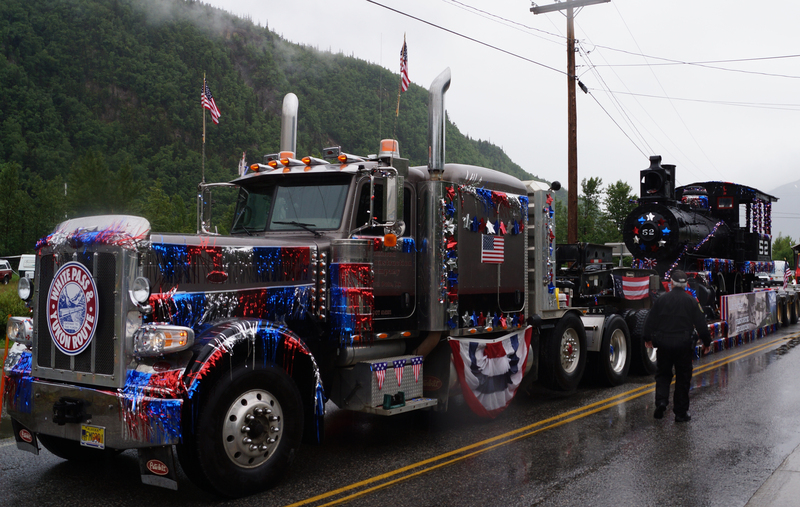 The theme of this year’s Skagway parade was “Traveling Through The Generations”. 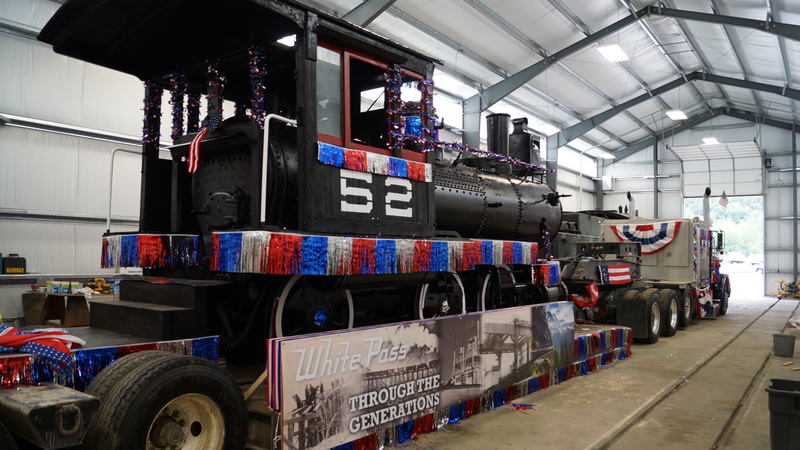 WP&YR played off that and came up with ‘White Pass Through The Generations’, and what better way to showcase that than with the first engine to the Summit that started it all! We put Engine No. 52 on a flatbed and added all the patriotic decorations we could muster, plus a smoke machine and authentic steam engine sounds, to really make it come to life! And our hard work paid off: WP&YR’s parade float won the Grand Prize AND Most Patriotic! We always hear it said that there’s no better place than Skagway to spend the 4th of July and we think that most certainly holds true. Even the rain and cold couldn’t dampen everyone’s spirits. Special thanks to Hamilton Construction for lending us their truck and trailer to make it all possible!